In this low-maintenance holiday episode, we share your brewday mishaps to live, laugh and learn. Happy new year! Peter Ausenhus of Worth Brewing Company in Northwood, Iowa talks to us about how he's running a professional brewery with homebrew-scale equipment. Chris Colby of Brew Your Own Magazine fills us in on the hop situation and gives us tips to make it through to better, hoppier times. Benjy Edwards of Columbus, Ohio teaches us about cask conditioning and how we can make Real Ale at home. Bob Taylor of Anchorage, Alaska shares his knowledge of sake and how he makes it at home during long Alaska winters. Chris Colby of Brew Your Own Magazine walks us through his method of making big beers by putting wort back through a second or third mash. Garrett Marrero of Maui Brewing Company tells us about brewing in paradise and lets us in on how a couple of his wonderful beers are brewed. Mead maker Mike Lozano shares his experiment making meads with beer yeasts. We also salute the Mighty Carson Art Players. Chris Colby, editor of Brew Your Own magazine, gives us tips on reusing all the good yeast we find in the bottom of our primary fermenter. Jeff Bearer of Craft Beer Radio reports on the winners of the Samuel Adams LongShot homebrew competition at GABF. We talk to Great American Beer Festival first-timers Jeff Bearer of Craft Beer Radio, Rick Sellers of Pacific Brew News Radio and Rick Hagerbaumer of Big Foamy Head. Chemistry professor Brad Sturgeon walks us through the basics of using thermometers, hydrometers and refractometers. Chris Colby of Brew Your Own magazine gives us an update on what he's learned about doing partial mashes with a countertop cooler. We continue our tasting with Michael Tonsmeire, the Mad Fermentationist from Washington D.C. This week, all the beers are fermented with Brettanomyces. Michael Tonsmeire, the Mad Fermentationist from Washington D.C., shares some of his beers made with other-than-normal yeast. In this episode: Kvass, Flanders Red, and a Strong, Dark Belgian. We talk to home brewer and amateur bee keeper Ryan Wilson about how to get insects to make the sweet stuff for our meads and braggots. Creative consultants Bob Corscadden and James Gardner of jimbob give us tips on "selling" the idea of drinking homebrew and other good beers in this day of mass-marketed big-boy beers. Matt Brynildson of Firestone Walker gives us advice on blending beers to create new brews and explains his brewery's system of oak aging. Chris Colby of Brew Your Own magazine gives us some tips on brewing beer with another brewed beverage - coffee. Thomas Larsen of Wynkoop Brewing Company in Denver give us his take on making wonderful beers with interesting ingredients. John Legnard of The Sandlot at Coors Field give us brewing tips and lets us in on what it's like to brew at a small brewery owned by one of the big guys. We sample delicious meads and mead-based experiments with home meadmaker Mike Lozano of Aurora, Colorado. This week, we have an assortment of sound from the National Homebrewers Conference in Denver. We talk to David Myers of Redstone Meadery, Tony Simmons of Pagosa Brewing and Vinnie Cilurzo from Russian River. Our coverage of the National Homebrewers Conference in Denver continues with brewing tips from David Houseman and tasting tips from Lauren Salazar of New Belgium. John Palmer, Rick Bobbitt and Scott Jackson talk about their experiment at the National Homebrewers Conference pairing beer styles with appropriate water chemistry. Two chemistry professors, Bradley Sturgeon and Paul Charlesworth, join BBR veterans James Spencer, Andy Sparks, Steve Wilkes and Mark Smith to share the results of an experiment putting IBU prediction formulas through their paces. We also celebrate our 100th episode! Peter Bouckaert, brewmaster of New Belgium Brewery, addresses the National Homebrewers Conference in Denver and takes Charlie Papazian to task on beer styles. Neva Parker, laboratory manager of White Labs yeast, explains her experiment putting three yeast strains through various temperatures and gravities. We talk with members of Fayetteville Lovers of Pure Suds about their fancy fermenters and why they moved up from carboys. Dan Carey, Brewmaster of New Glarus Brewing Company in New Glarus, Wisconsin, shares his tips on aging beer on oak chips and in oak barrels. 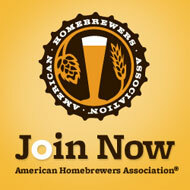 Gary Glass, Director of the American Homebrewers Association, joins us to talk about Big Brew, National Competition and National Conference. We read listener reviews of brewing software, and Andy Sparks talks about the Boulder Strong Ale Festival. Chris Colby from Brew Your Own Magazine takes us behind the scenes with the two personalities of one of our favorite styles: English and American IPAs. Noted batch sparging advocate Denny Conn gives us his side of the batch/fly-sparging debate and answers listener questions and concerns about the process. - BeerAlchemy - Brewing software for the Mac. Use "basicbrewing" as a coupon code for a 25% discount through June. David Logsdon from Wyeast takes us through the life cycle of our favorite microorganism and lets us know how we can help our yeast thrive and make great beer. Charlie Talley from Five Star Chemicals tells us best practices in using household bleach and Star San in sanitizing equipment. Murl Landman of National Chemicals talks to us about sanitization techniques in general and using Iodophor specifically. Steven Pauwels of Boulevard Brewing Company in Kansas City, Missouri lets us in on home brewing tips as he talks about some adventurous brews he has planned. Ken Smith of the Boston Beer Company tells us about how he came up with his winning Boysenberry Wheat, which has been included in the Samuel Adams Long Shot six pack. Chris Colby of Brew Your Own magazine tells how we can turn seed into malt in our own kitchens. We travel to Kansas City, Missouri (actually Olathe, Kansas) to attend the 24th annual homebrew competition of the Kansas City Biermeisters. Adam Avery from Avery brewing in Boulder, Colorado lets us in on some of the behind-the-scenes details of brewing "Collaboration not Litigation Ale" with Vinnie Cilurzo from Russian River brewing. Amelia Slayton from Seven Bridges Cooperative in Santa Cruz, California tells us about brewing with organic ingredients and why we should try it. David Myers from Redstone Meadery gives us a preview of the upcoming International Mead Festival in Denver. David also has some advice for our upcoming multi-batch mead experiment. Researcher Dr. Jay Gottfried explains how the sense of smell works and how a study he's conducting may help us to improve our brews by being able to smell more accurately. Connie Rieper-Estes and Leigh Nogy from Dark Hills Brewery talk with us about brewing gluten free beer at home and their dream of founding a commercial gluten free brewery. John Palmer, author of How to Brew, walks us through the potentially intimidating topic of pH. John tells us how to measure pH and what to do with our measurements to improve our beers. In this first podcast of 2007, we get input from our listeners on "home brewing" vs. "craft brewing" and extract vs. all grain.